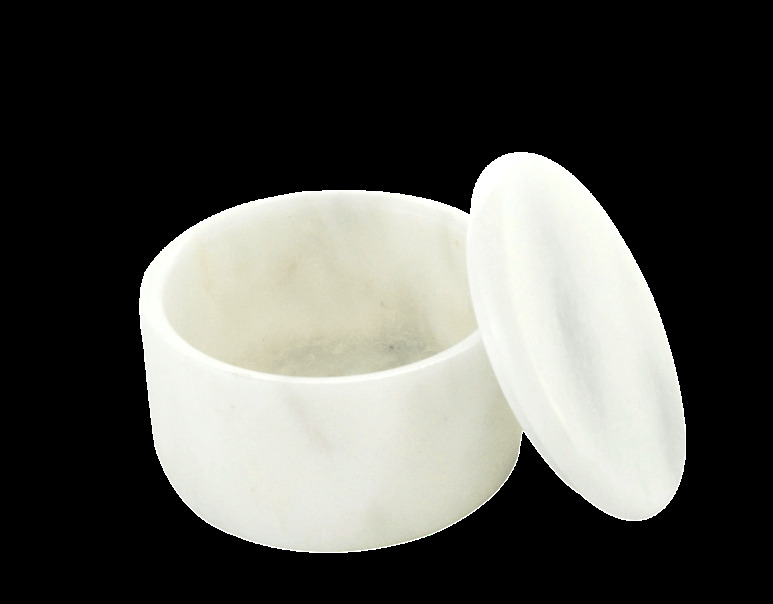 Small Covered Marble Shave Bowl in Opaque White. Colonel Conk 2.25 oz. shave soap is included. The marble bowl is referred to as "Opaque White" due to the many different grayish striations found in the metamorphosed limestone. Marble is a non-foliated metamorphic rock composed of recrystallized carbonate minerals, most commonly calcite or dolomite, therefore no two bowls are exactly alike.